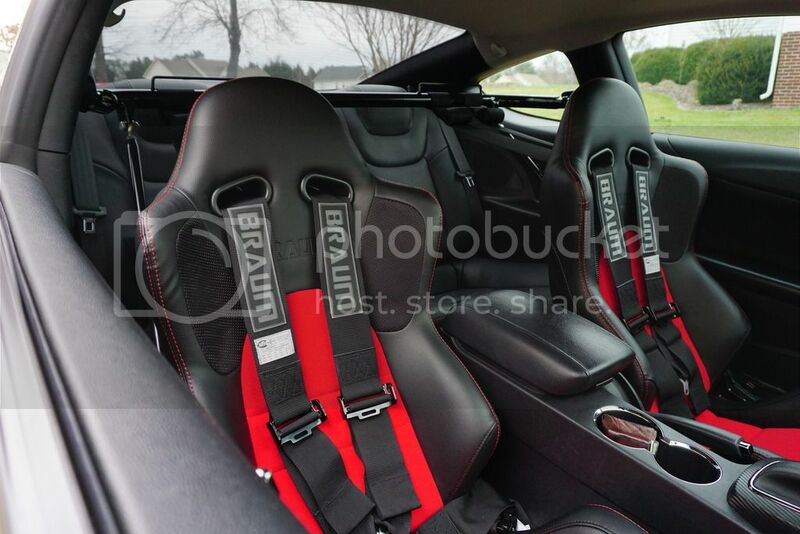 Hyundai Genesis Forum > Genesis Coupe Tech > Product reviews > Braum race seats review! 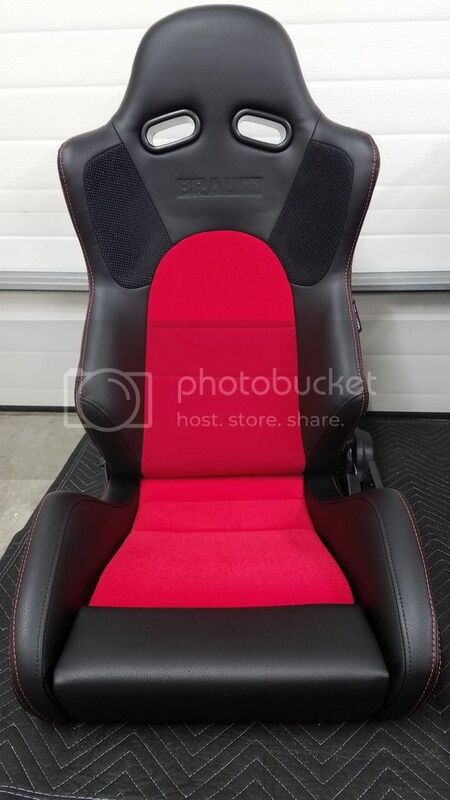 Thought I would finally post a review of my Braum race seats after acquiring some seat time. Although I haven't seen many review on these seats, I took a chance and went for it. 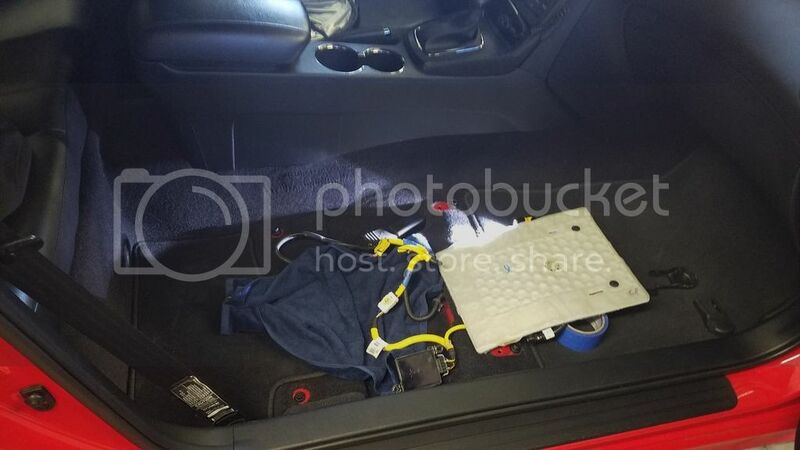 First , they have tons of color choices and options for fixed /non-fixed , also harnesses and harness bars along with shoulder pads and even the hardware needed. The website was super easy to navigate and they even had online chat assistance for any questions you may have. 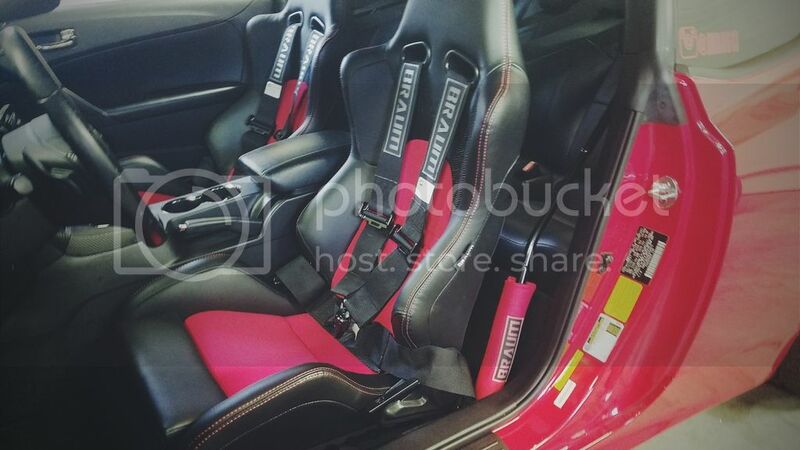 I went with the Advan series seats and also the harnesses and harness bar, and also the custom seat brackets to make the install even easier ( the full setup ). 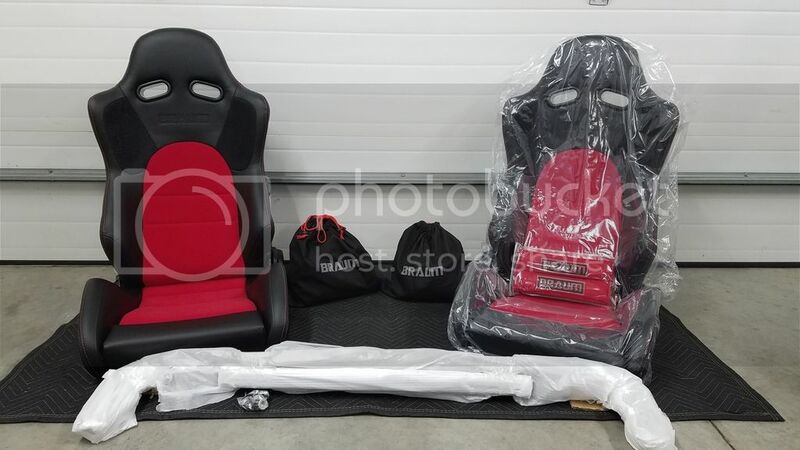 After my purchase I was given tracking once shipped and shipping took less than 3 business days on the seats and about a week for the custom brackets as they are made to order. 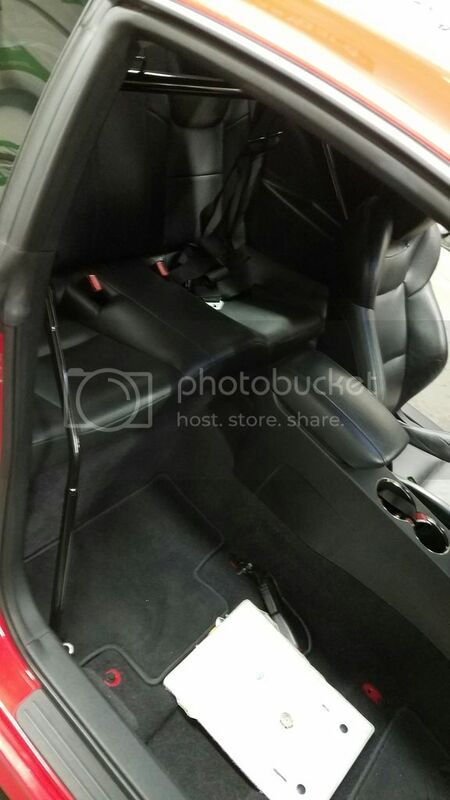 I'm not going to go into full detail of the uninstall process of the stock seats, i did use resistors and also removed the passenger weight sensor to bypass the airbag light issue. 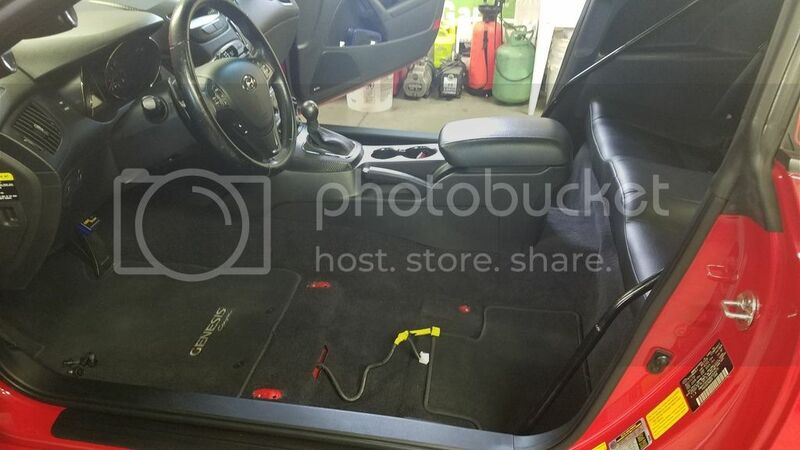 Overall the process is fairly simple and can be done in very little time after you disconnect the BATTERY! Now comes the fun part, installation. 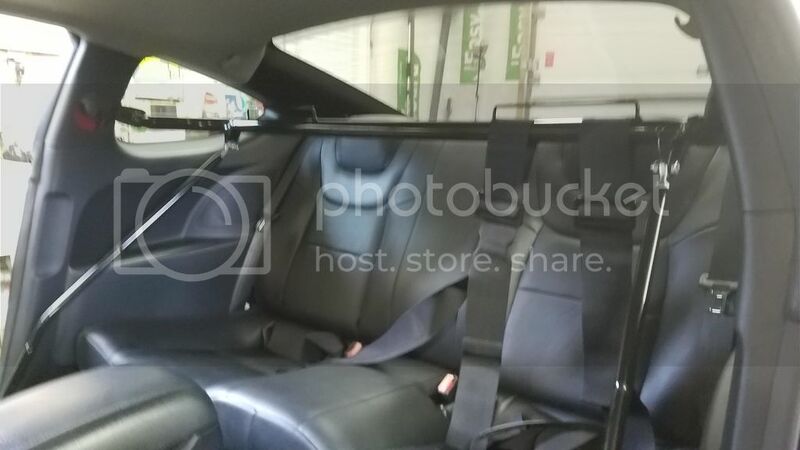 *Note* I did get the Braum harness bar that is suppose to be universal, it does not fit the genesis correctly, it is to short for the floor support bars and also to short on the anchor points for the stock seat belt bolt. Even though it was to short, I fabricated it to work myself and extended the anchor points and made it fit correctly. If you want a quick installation out of the box i suggest the "Cipher bar" that is readily available via most vendors. I have attached a few photos of the extensions and modifications done. The support bars were reinforced with solid steel for strength purposes. * You can refer back to previous photos to see the modifications made. I did trim the seat belt cover to accommodate the bar hinges and give it a clean look while maintaining the stock trim. I did this using a dremel and patience to get it perfect once fully mounted and tightened. 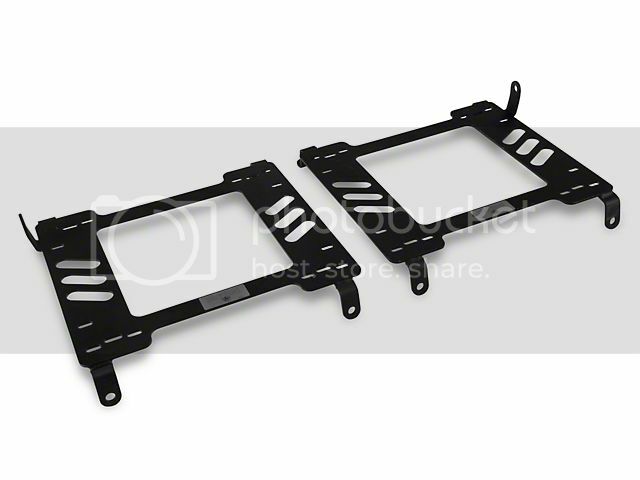 Now for the seats, with your purchase you can select to get the custom brackets made for your specific vehicle. 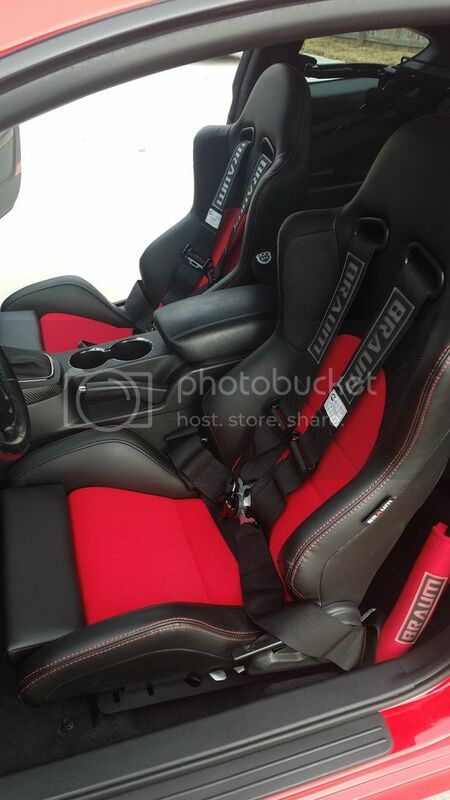 Once you mount those to the seats and also the sliders if you have a non-fixed seat,your ready to install them. 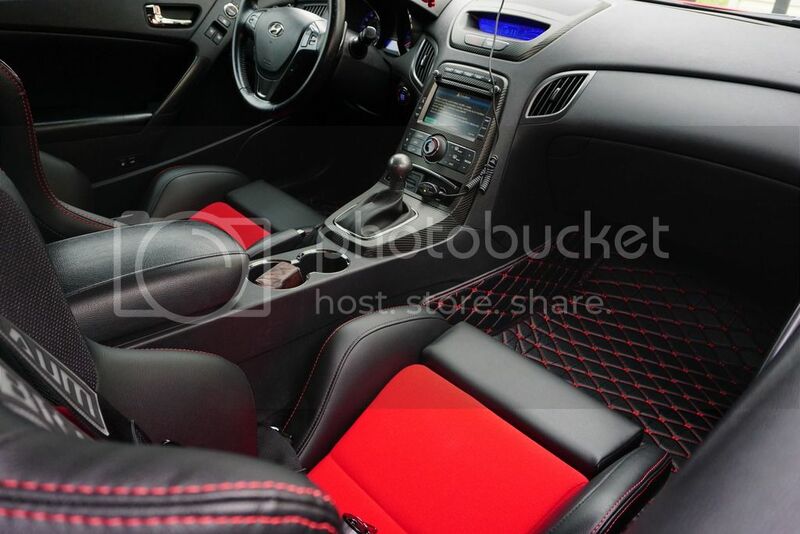 After using the seats for a good amount of time, they are beyond comfortable being a bucket seat. 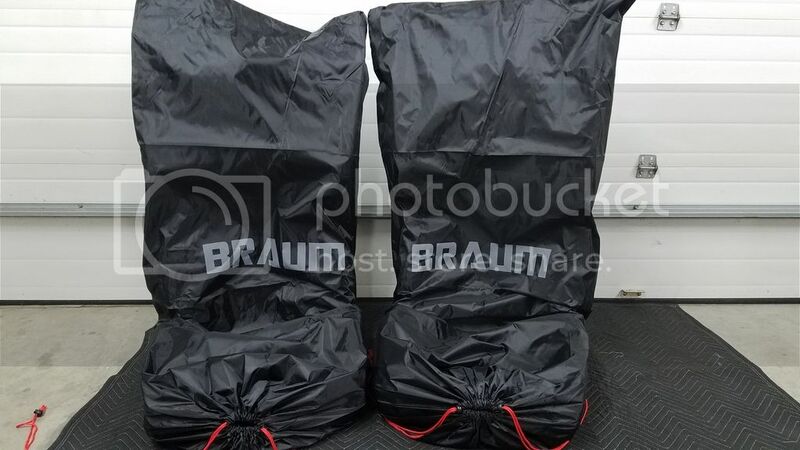 They do sit lower but that is expected and they hold you in place once buckled down, Overall the quality of material is spot on and durable, easy to clean and they look amazing. The harnesses are heavy duty and strong as well as the latches. Install is very straight forward and well worth it for the end results. Once everything is complete it changes the entire look of the car and comfort of the ride, definitely a top contender that is very underrated !! 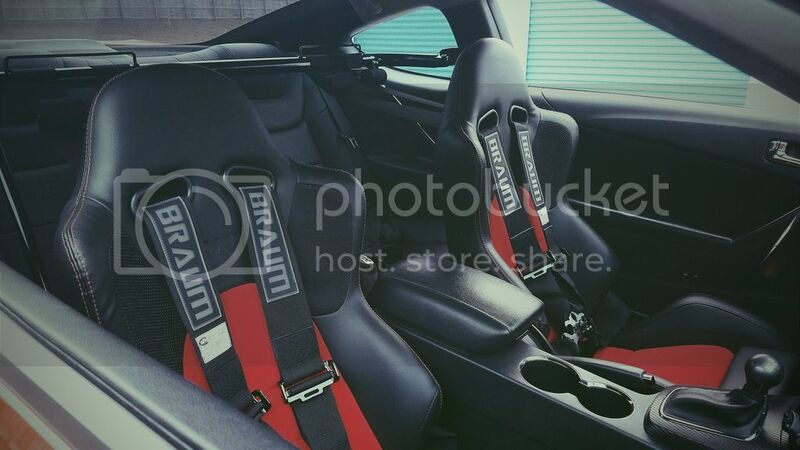 I can attach more photos and also specific detail on certain steps if needed so feel free to ask, also go check out these seats for yourself at Universal Racing Seats - FIA & SFI Harnesses | BRAUM? TKJode, MrDestinE and Cesar Ruiz like this. 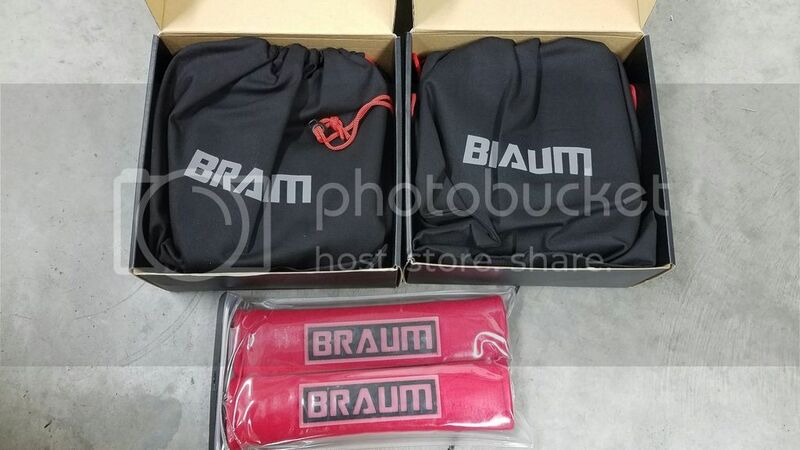 1: Is the passenger side seat protector easy to remove and install in the Braum seat? 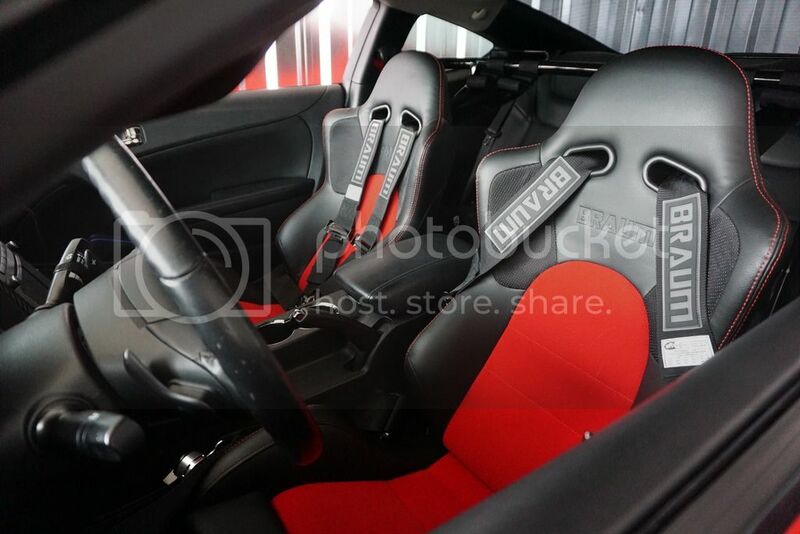 I'm hoping it isn't a rip-up of the old seat and then stuff it in the braum one under the padding.. 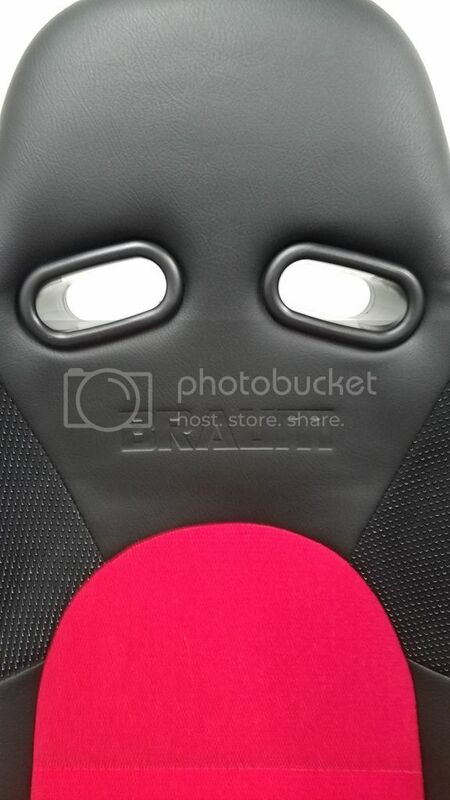 Ideally it's between the seat and the bracket so it's just a quick swap. 2: What Ohm rating resistors did you use and which connections did you solder/crimp them to? Can I see a picture of the harness and resistors? The resistors were 2.2 ohms, and you attach them to the SRS shoulder bag connection ( making a loop) , it will be the only yellow lead you cannot reconnect to anything as the new seats don't have air bags. The weight sensor wasn't to difficult to remove, if you take your time and be patient it will eventually slide out, I recommend a helping hand. 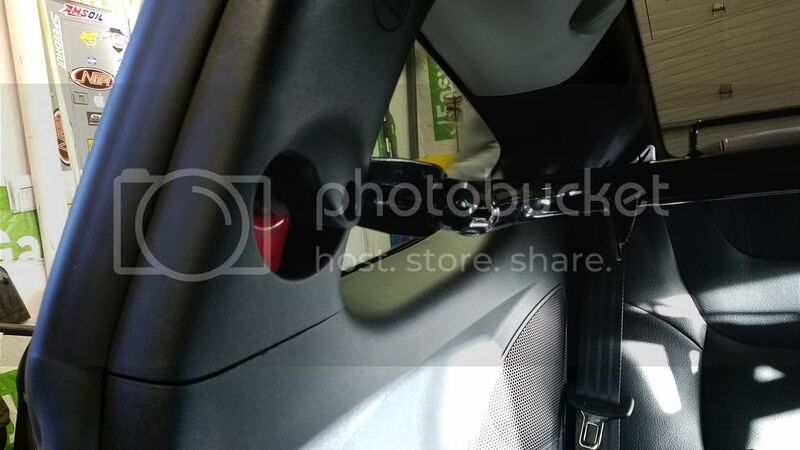 Unfortunately I don't have any in depth pictures, but once your under neath the seat the connections are straight forward. Just make sure to disconnect the battery!